A preliminary, data-driven look at the relationship between fundraising and exit – using data on 60,000 startups from CrunchBase. First, CrunchBase is an incomplete look at the startup ecosystem. Entries are submitted by the community of users, investors, and partners, which may be biased towards certain geographies, industries, and types of startups (e.g., high-growth). Even for the companies in the database, completeness and reliability of their data depends on these same factors. Second, this analysis doesn’t draw a huge distinction between correlation and causation – I merely wanted to start the discussion and see what may be interesting areas to research further, not draw any strict conclusions from this data. I looked at the relationship between the amount of time between the founding of the company and their first raise, and how many companies with that “waiting period” failed. 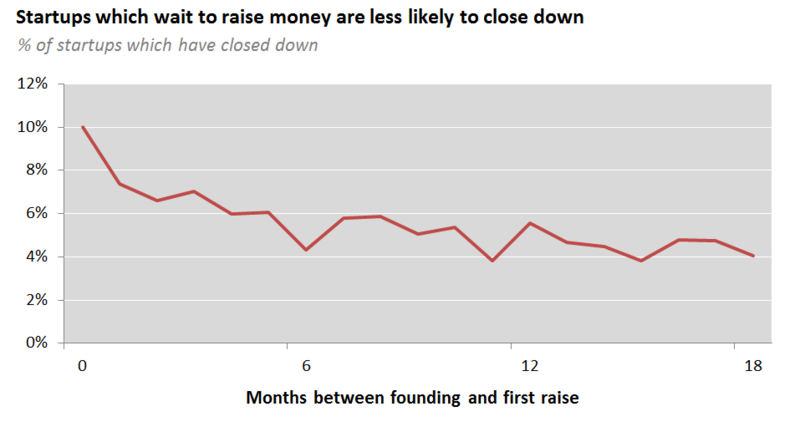 Notably, a relatively large percentage of companies (~10%) that waited 0 months between founding and their first raise have already closed down. That number decrease substantially from 0-6 months, then less substantially from 6-18 months. One possible explanation is that companies that are able to raise immediately upon founding could be raising money for reasons beyond product-market fit, team strength, etc. – all reasons a VC may invest. 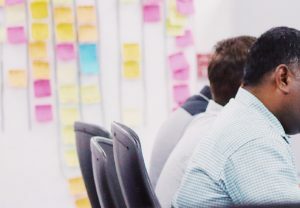 They could instead have an unusual amount of access to capital that led to the raise – personal wealth or company backing could lead to funding startups that don’t have to pass the tests that other startups must pass when raising money with the VC route. 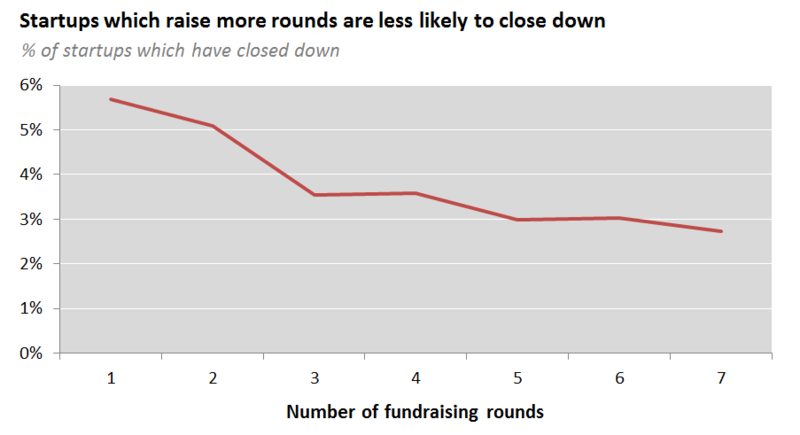 There is a negative correlation between the number of rounds of fundraising a startup goes through, and their likelihood of failure. This is perhaps counterintuitive – you may expect that great startups only need one or two major raises before they have a successful exit. 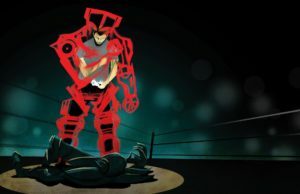 Perhaps the correlation could be explained by the mere fact that startups that survive long enough to raise 5+ rounds must be doing something right – the later rounds could be small injections of capital like debt financing, which may be easier for a stable startup to procure than an earlier-stage, more risky one. For this analysis, I calculated the amount of time a startup was in “funding mode” – the number of months between founding and their last raise. I then divided the total amount raised by this number to get a rough sense of how quickly a startup was raising money when it was in funding mode. There is a strong correlation between this so-called “funding velocity” and the likelihood that the startup has been acquired. 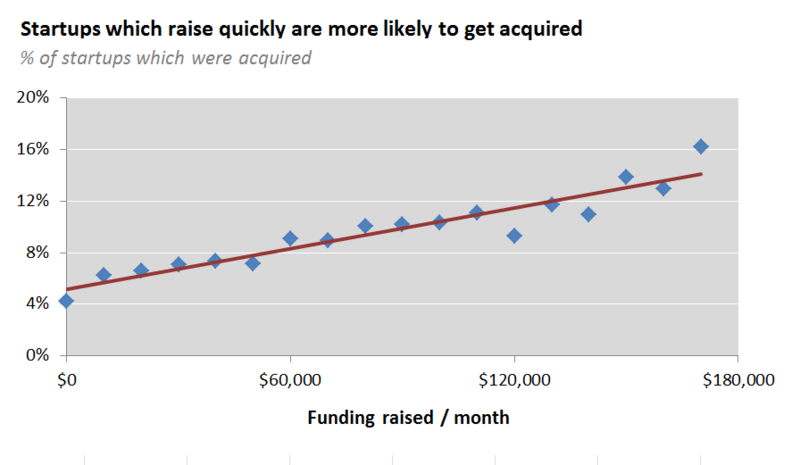 One obvious explanation is that startups with high funding velocity are likely making big raises – and the factors that make VCs confident in them also make them attractive acquisition targets. Another explanation is that startups which raises money quickly may be doing so because they are in fast-moving, competitive industries, which are often ones with many interested buyers. As mentioned before, it would be interesting to confirm whether any of the above relationships are causal (e.g., startups are more likely to be acquired because they raise quickly). Furthermore, it would be interesting to see whether we could add additional data from company websites or another startup database like AngelList to see the relationship between softer elements (e.g., team) and startup exit. At the very least, I hope these preliminary cuts of data will be inspiration for an enthusiastic analyst to take a deeper look into startup data, so we can try to make sense out of the chaos that is the startup ecosystem! Next Submission	Alert! Alert! Self-serving bias detected!